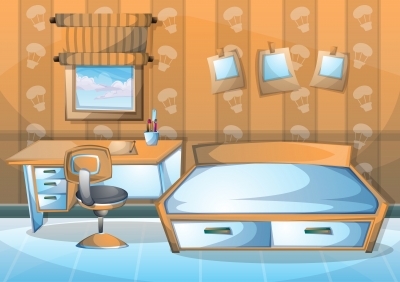 A Kid Having His Own Room: When and Why? Is there a right age for kids to start having their own room? Probably there isn’t. I reckon it will all depend on a child’s emotional maturity and special needs. Some may feel the early signs of independence creeping up on them at 5 years old, while some may prefer the comfort of their mother’s bosom even up until the age of 10. There are advantages to a child having his own room. For one, he gets to enjoy his privacy even at an early age. He will learn to be introspective and at the same time have his own place of refuge whenever he feels the need to have some quiet time alone. When a child has his own room, he is suddenly given a lesson in responsibility. He will learn to put his toys away and keep his room tidy by placing decors of his choice. Otherwise, he will simply suffer the consequences of sleeping in a filthy room. As I continue turning the idea over in my head, I don’t see any disadvantages to it. A kid having his own room is a step towards growth, in my opinion. And any journey in that direction is always good.